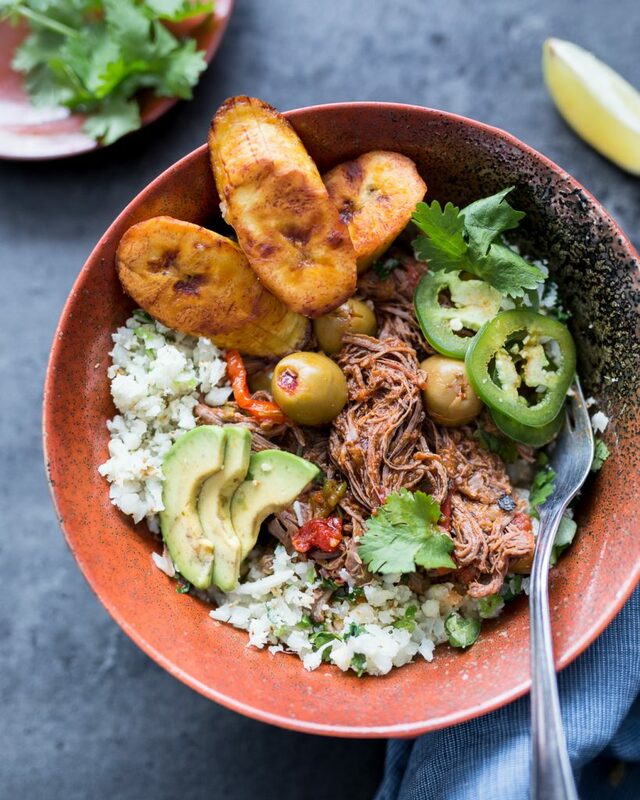 This Whole30 Ropa Vieja (which literally translates to ‘old clothes’ in Spanish) is a super easy and delicious Cuban dish that is perfect for meal prep or a hearty weeknight dinner. 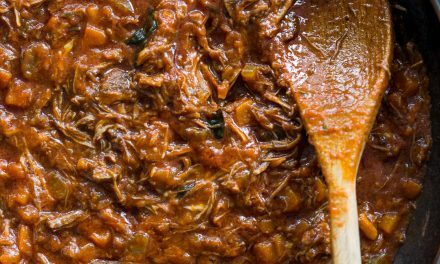 Ropa Vieja is the dish I seek out in Cuban restaurants and the one I associate with my childhood visiting my grandparents in Miami. No, I’m not Cuban, or Latino for that matter. I’m a Toronto-born, Russian Jew, but my grandparents made the eventual pilgrimage (read: retirement) to Miami after living in New York so I spent my summers eating at some top-notch Cuban joints. 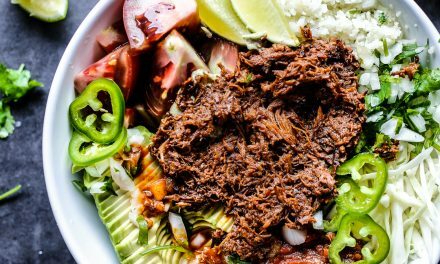 My Ropa Vieja may not be 100% authentic or traditional, but it is easy, delicious and Whole30 and Paleo compliant. And, in my books, that’s all that matters! 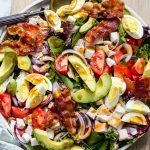 You can definitely stick to the traditional recipe if you want, which calls for golden raisins and capers. You’re the boss, applesauce. 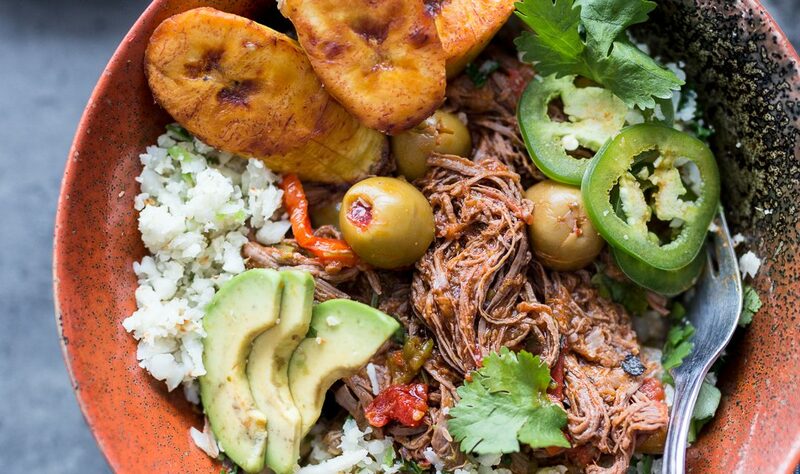 You can certainly make this Ropa Vieja in a Dutch Oven or slow cooker, but I really like to do it in the Instant Pot. 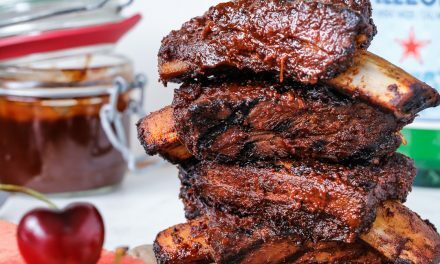 The meat breaks down really quickly and becomes super juicy. 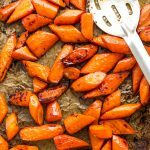 If you haven’t jumped on the Instant Pot bandwagon yet, feel free to read my Instant Pot Review here. I can summarize here by telling you that I love it and recommend buying one (Amazon seems to always be the cheapest option). 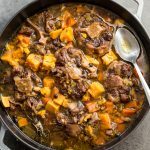 The reason why I fell in love with it is the sautée function, which allows you to sear directly in the multi-cooker – something I can’t do with my slow cooker. Oh, and if you’re on the meal-prepping kick, rest assured that the soft, shredded flank steak and sauce taste even better the next day! Try serving it with my Cilantro-Lime Cauli Rice &/or my Tostones. 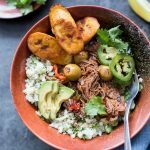 This Whole30 Instant Pot Ropa Vieja is a super easy and delicious Cuban dish that is perfect for meal prep or a hearty weeknight dinner. Set IP to sautée function and add avocado oil. 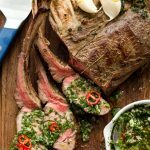 Slice flank steak into pieces so it fits in the pot and season both sides with salt & pepper. Add steak to IP and brown both sides in batches. 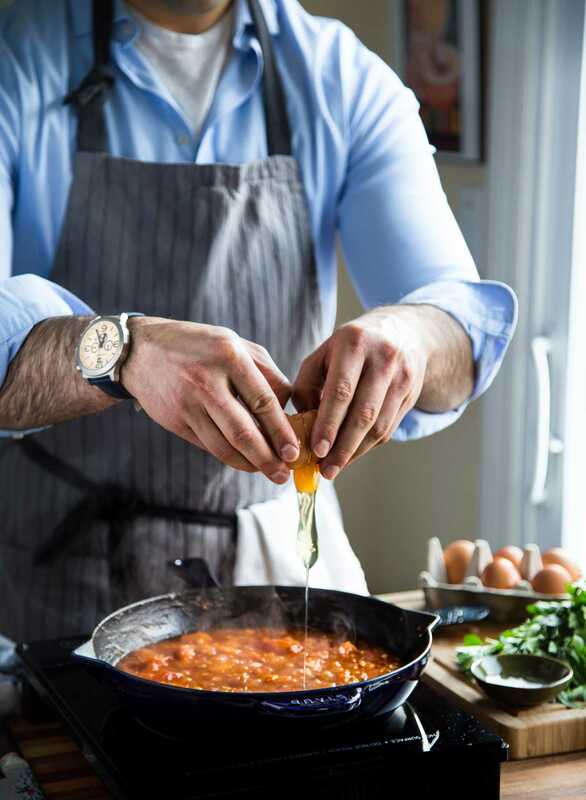 Transfer to plate and set aside. Add onion and peppers to the pot. Sautée 4-5 min or until softened. Be sure to scrape any brown bits on the bottom of the pot (that's flavour!). Add garlic and cook another 45-60 sec. Add garlic powder, oregano, paprika & cumin & toss everything to coat. Sautée 45-60sec to awaken the spices. Add tomatoes, lime juice, & olives. Give everything a stir before adding steak back to the pot. Cover the steak with the veggies, close the lid, set to sealing and cook under high pressure 45min. Once cooked, release pressure manually and shred the steak in the pot. Adjust salt & pepper as required and add cilantro. Made this tonight! It was fantastic even my picky 5 year old asked for seconds. 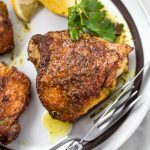 This is the 4th recipe I’ve tried of yours in a week and you have all my new favorite recipes! Looking forward to making your Mojo Roast Pork later in the week. 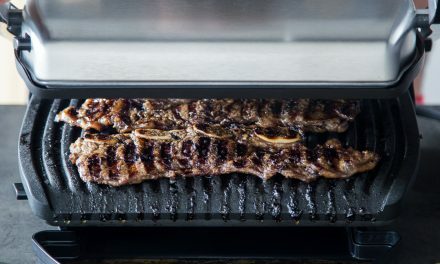 Could you use flat iron steak? I haven’t tried it with flat iron but I think it would be good.